In case you are one of those who did not yet master maintaining a positive aura regardless of the circumstances, then this meditation technique is for you. 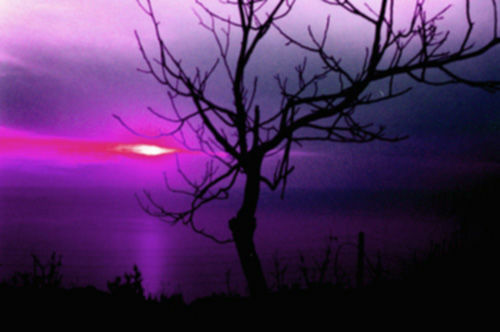 The violet flame technique can be invoked within 10 seconds for auric protection in places that one thinks are negative. If you are at a hospital, at a grave yard, or at a funeral; then this technique will come in handy for it is very easy to apply, and yet very effective. The violet flame is associated with Saint Germain, he is said to be called the keeper of the violet flame, so during the meditation you can directly ask Saint Germaine for the flame, or simply imagine a violet colored flame coming up from earth to fill and cleanse your aura. He is an Ascended Master, and is also know as prince Ragoczy, Count Saint-Germain, Merlin the magician, Le Comte De Saint Germain, St. He is known to be one of the greatest philosophers ever lived, and was known to stand for humanity. Many channelers, and psychics believe that Saint Germain is still in service to humanity from the spirit world. If you believe in Ascended Masters, then be sure that Saint Germain is in service among many other Ascended Masters who have nothing but unconditional love to offer to humanity. 1- Focus on your breathing at nostrils, being aware of the incoming, and outgoing breaths. 2- Request saint Germaine to send the violet flame, to cleanse, and purifies your aura, and the entire planet as well. 3- Visualize and intend that a violet flame is appearing at the soles of your feet, entering the feet and body. The flame then slowly travels upwards to fill you up from feet to the top of your head. 4- Affirm that your aura is now protected that no negative vibrations can ever penetrate it. 5- You can keep the flame on until you leave the place where protection is needed. After you leave the place you can ask the violet flame to go back to source as love and light.